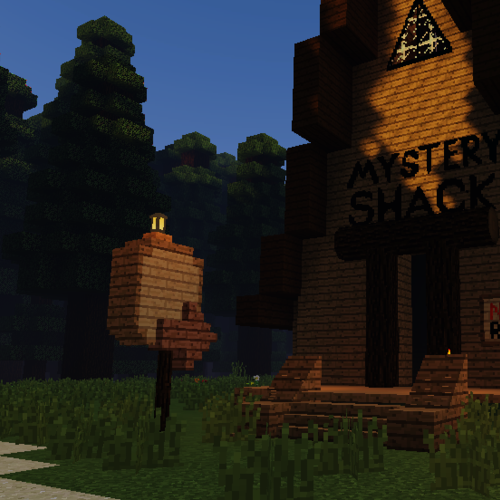 Casting Call Club : Gravity falls Minecraft series! Casting Call for Gravity falls Minecraft series! 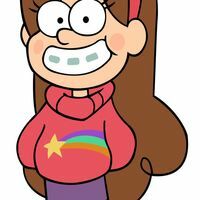 About Gravity falls Minecraft series! I recently decide to create this role play series based off of the amazing cartoon series Gravity Falls! It is in a single play modded world so i will be doing all the building,recording, an other things. BUT I of coarse need some amazing voice actors to help make this series the best it can be! please feel free to audition as many times as you want! I am not copying the scripts for episodes completely, but at times i will follow the story of one of the episodes almost exactly,and others it will just be a script i made based off the series. 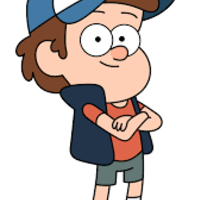 Dipper pines Is a curious 12 year old, he seeks out mysteries wherever he can find them,and he likes disco....anyways, He is on the rational side of things and believes anything and everything has a logical explanation. Ah, summer break; a time for leisure, recreation, and taking 'er easy... unless you're me. My name is Dipper. The girl about to puke is my sister Mabel. You're probably wondering what we're doing in a golf cart, fleeing from a creature of unimaginable horror. Rest assured, there's a perfectly logical explanation. she is one of the most fun, enthusiastic,and hyper characters in the series, and is kinda boy crazy! I'll be there with you, brother. Whatever happens, I'll be right here, supporting you every step of the–OH MY GOSH A PIG!!!! 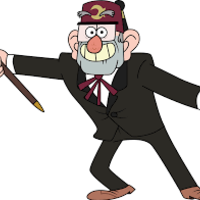 Grunkle Stan is Dipper and Mable's great uncle. 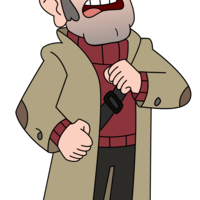 He is a con man and runs the mystery shack, and Even though he doesn't like to show it, he cares for his family very much. Sounds like something a responsible parent wouldn't want you doing... Good thing I'm an uncle! Avenge me, kids! AVENGE ME!! Wendy is around 15-16 in the series and is pretty much a tomboy. 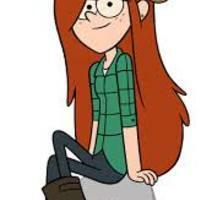 Dipper ends up falling for Wendy and having a crush on her throughout the series even with their 3 year age gap. 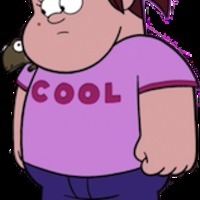 Wendy is usually chill,lazy, and laid back but can be a party animal in most episodes as well. The Big Dipper! That's how you got your nickname! I thought your parents just hated you or something... Hey, I guess we're both freaks. I am the lifeguard. I make the rules, sucka! BOOSH! I think I'm gonna go stare at a wall for a while and RETHINK EVERYTHING. I will make you internet famous. I'm a boy now! What up, bro? Let's grow some mustaches! I should have known to guard my heart in a cage of ice. One of Mable's best friends, supportive and hyper but is very insece about how deep her voice currently is. She is also a huge fan girl! I wanna put her in a headlock and make her feel pain! 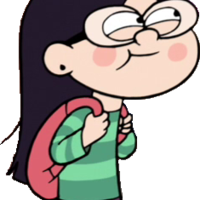 Hey, Mabel. You're just in time for our 1:00 boy talk! I don't know what I was kissing in there, but I have NO REGRETS! 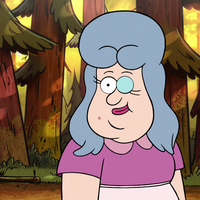 If I had a baby, I would name it Grenda II: The Sequel! Local kook, everyone believes he i crazy b the way he acts/lives, but he is actually very smart and can make incredible inventions. I SEEN IT! I SEEN IT AGAIN!!! Old Man McGucket, local kook. Are the wax figures alive? And follow up question: can I survive the wax man uprising? Hit me with your best shot, Baldy. But my mind's been gone for thirty-odd years. You can't break what's already broken. 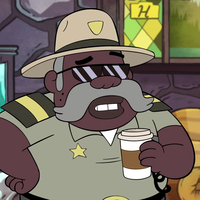 lazy and sarcastic local cop who deems every case unsolvable with his partner so that they can go to lunch instead. If being delightful was a crime, you'd be breaking the law! With you, every day is a dream. Good thing I brought my book of spooky ghost stories! A bit of an air head. I brought rope for friendship bracelets! Woooo! I got a bell! Ring, ring! Ring, ring! Guys, do you ever think that maybe we're doin' this 'cause our lives aren't special enough? That we use fantasy as an escape to avoid the self-improvement we all need? That maybe we should just go out and grow as people? 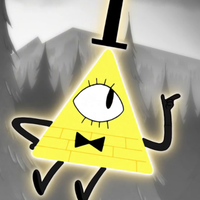 Bill is the "villan" of the series. He is a psychotic demon that is focused on taking over everything in existence....yay? Remember, reality is an illusion, the universe is a hologram, buy gold, byyyyeeeee! It's funny how dumb you are! Deer teeth. For you, kid! YOU! You can't even imagine what you just cost me! Do you have any idea what I'm like when I'm MAD? For one trillion years I've been trapped in my own decaying dimension, waiting for a new universe to call my own. Name's Bill! But you can call me your new lord and master for all of eternity! 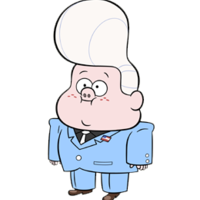 Gideon is an adorable small bean...BUT he is also crazy and is contently threatening the pines family one way or another. He is very successful for being a famous physic and is very respected by many people. 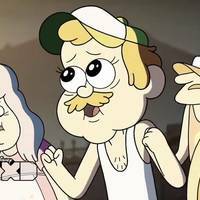 He also has a huge crush on Mabel through out the whole series. 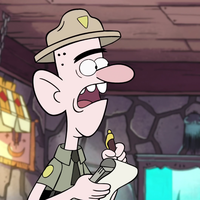 Dipper Pines, you don't know what you've done! You've just made the biggest mistake of your life! I can buy and sell you, old man! Finally after all these years, after every humiliation! Your business, your family, everything will finally be mine! You have no one to protect you now! Face it, kid, you're nothing without that journal. No muscles. No brains. What are you gonna do kid, huh? What are you gonna do? 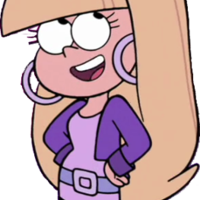 Pacifica is a spoiled rich girl to put it simply. she has her moments of kindness but most of the series she is a sassy, rude, sarcastic, arrogant, snotty, and mean. She was a stereotypical popular blonde girl. Just so you all know: if I die, I'm suing all of you! Aw, 'it' thinks it's gonna win. Wait, did you hear that? People cheering for the weird girls? Yeah, me neither. Li'l Gideon's polite and well-meaning father. He tries to steer Gideon in the right direction multiple times but never success. Step right up here, folks! Put your money in Gideon's psychic sack! Friends, I wish I was a highway so I could be rode upon by automobiles as fine as these ones right here. *pats a car, which causes the hood to fly open and a possum to jump out* Engine possums for no extra charge. From now on, it's all name brand food and clown paintings! He is a stereotypical edgy/ moody/ emo teen. He is in love with Wendy through most of the series but later she breaks up with him. 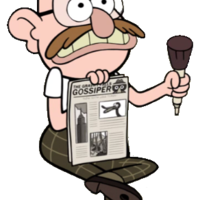 He dislikes Dipper because he is trying to gain all of Wendy's attention. Yeah, I'm the one who spray-painted the water tower. Uh, it's eye paint for men. Later dorks, catch you on the rewind! I made that up. Take me back, Wendy! My arms are too skinny to keep holding this boom box forever! 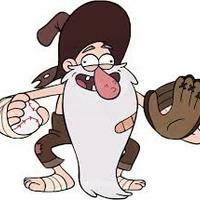 Is "Shmebulock" all you can say? "Lazy" Susan is a waitress at the dinner. she is a cat lady (she owns 3), she loves fixing things (even though shes not very good at it), and she has a strange sense of humor. I got hit by a bus! Hey handsome! It's me, Lazy Susan calling to say hi... Hi! I feel great! I can't even remember what was wrong! Or what I'm doing here! Or if I'm a man or a woman! Finally we can be alone, cardboard cutout of female reporter, Shandra Jimenez! He is such an adorable character at times! 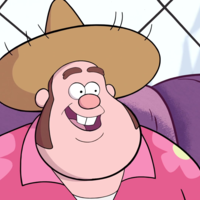 The town's local enthusiasm enthusiast and later on mayor of Gravity Falls. Do you have this in another animal? 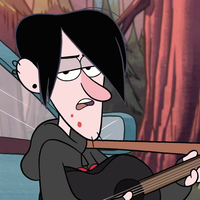 He is Dipper and Mable's Great uncle, he was trapped in other demontions for years until Stan finally brought him back. 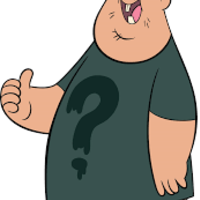 He is a huge nerd that is interested n anomalies like Dipper. Unfortunately, my suspicions have been confirmed. I'm being watched. I must hide this book before he finds it. 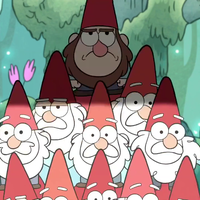 Remember: in Gravity Falls there is no one you can trust. My whole life I'd been teased for my six fingers. But that got me thinking about anomalies: things that were odd, unusual, statistically improbable. And according to my investigations, there was one place with a higher concentration of these things than anywhere else. A small lumber town in Roadkill County, Oregon: Gravity Falls.